"Do you know how to carve? "Regularly asked by the salesmen when someone wishes to buy or to rent his skis, this question can surprise the skier little with the technical terms of this sport. What is carving? Is it only for snowboard specialists ? The so-called carving technique appeared with parabolic skis about fifteen years ago. Previously, the skis were straight and the only way to take a turn was to skid while keeping his skis parallel, the famous parallel turns. A good skier was therefore above all a person able to control his skids depending on the slope. Conversely, the carving technique makes it possible to cut corners by drawing a wide arc in the snow. The parabolic ski is curved to allow the skier to turn without skidding ! The larger the angle of the edge grip, the closer the radius of the curve will be. The carving technique is accessible to all skiers, even beginners, provided they are equipped with parabolic skis. To start smoothly, first choose a wide, sloping track. The right position on his skis is to spread the legs to find more easily the "edge grip" by remaining stable and balanced. On the other hand, the skier keeps knees bent and the back straight.To initiate the turn, the skier enters the downhill ski and distributes most of its weight on its downstream foot. The ski will naturally take the desired direction on its edge (the entire ski is no longer in contact with the snow) and finish the turn ! 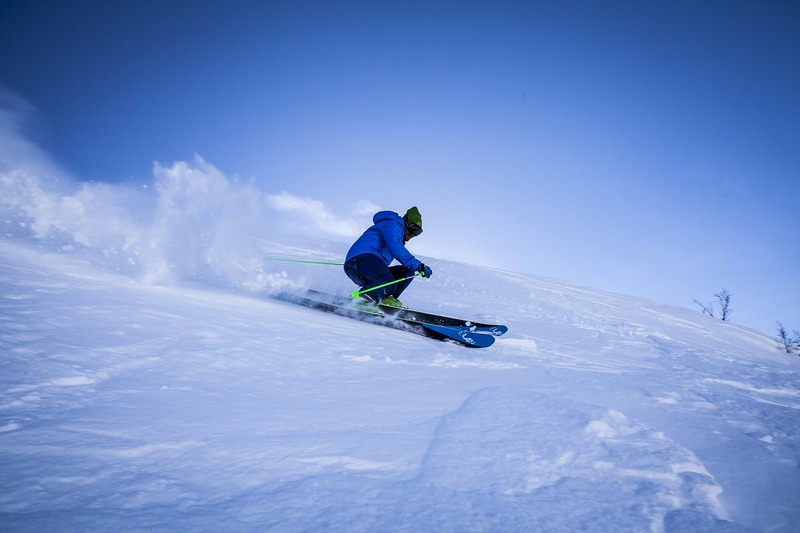 Depending on its level of skiing, the inclination of the skier in relation to the slope will be different (carving specialists like to ski "on the rocks", that is to say the shoulder in the snow). Carving sensations are unmatched and resemble those felt by professional skiers in competition. Although coming from the competition, the carving is accessible to beginners.The size of the ski is that when he gets on the edge, he will cut the turn like a skate and when a ski of this shape is on the edge, it has a greater stability than the classic skis. With this cut form, the ski has become much more stable. No more skis of two meters. The trend is for short skis, often even smaller than the skier himself, and especially cut, which allows for narrower turns. The carving ski is much more flexible than the traditional ski, it works enormously in flexibility, because the deformation is much more important now than with the old technology. Skis are easier to drive, even for beginners and, according to convinced followers, progress is immediate. The ski of today, whether manufactured industrially or craft, is high technology. It is the competition and the pressure to the performance that will finally sweep the received ideas and pushed to reinvent the form of the skis.